Alsace doesn’t really do apricots – it’s not usually hot enough to ripen them up here, tho this year would certainly be the exception. At the moment ours are coming from the south of France. Or if I nip over the border to Basel I can find apricots from the Valais, Switzerland’s southernmost, sunbaked alpine canton which produces spectacularly sweet and flavoursome fruit (terrific wine too). 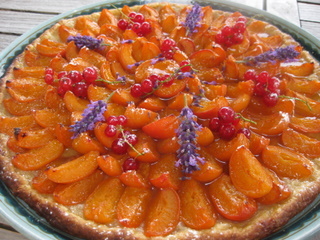 Even if your apricots are a little hard and quite sharp, a tart will make the best of them (though not much will rescue the wild and woolly ones). Try this one. 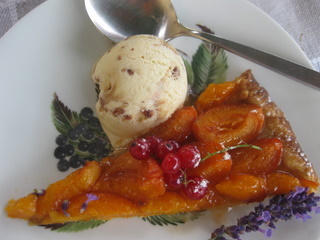 enjoy your apricot tart a la mexicana !